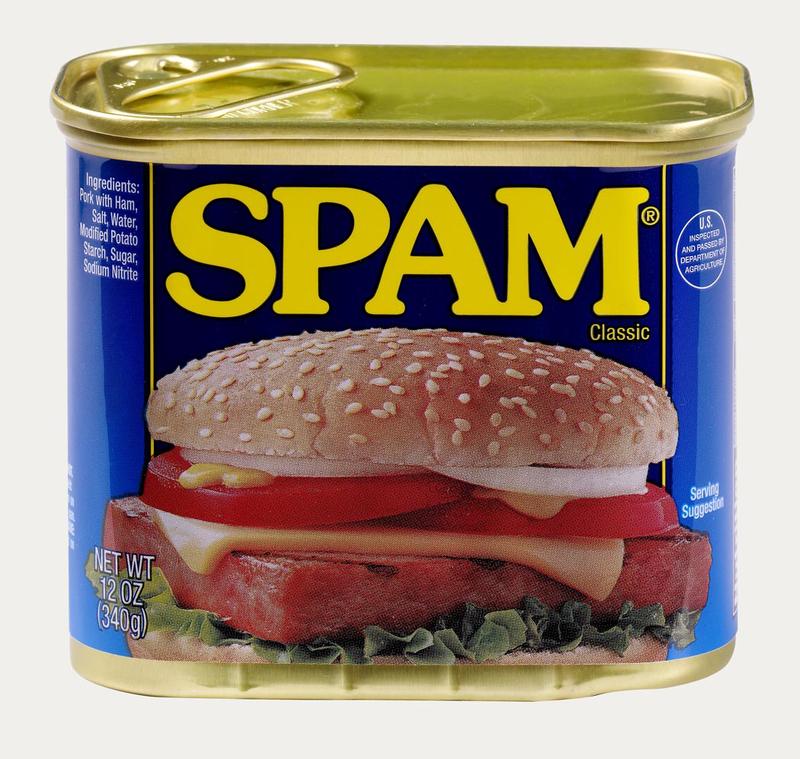 Does Your Email To Radio And Media Look Like Spam? It’s not healthy or tasty. You don’t want to eat it. So don’t try to give it out to people you don’t know. When you don’t know someone, the way you communicate with them matters. How you put your music out there and initiate their interest determines whether they listen. It also determines if they give you some of their time/interest or whether they treat you like a spammer. Don’t follow what you see others doing that turns your stomach when people do it to you. That’s not a strategy you want to emulate. In other words, if you don’t like getting spammed by strangers in your email inbox, don’t do that to others. Every music blogger or radio host gets more than their fair share of unsolicited messages from artists and bands every day. Many of these messages go unread and the music not listened to. Why is that? Is it because our email in-boxes or our social media PM boxes are too full of incoming messages? Nope! Is it because we only read or respond to messages from people we know, remember or have an existing connection with? Not necessarily. Sometimes I prefer to limit the amount of content I take in from people I don’t know personally. But that’s not necessarily a pre-requisite to getting a read from me. What makes a message seem like Spam and instantly get put in the Trash? The answer to this has everything to do with the basics of relationship building. If there’s a generic, wide-net subject line that doesn’t pertain to me, and if the message is from an unknown person, my instincts tell me it’s SPAM. Yours probably do too when it comes to your email inbox. If the first few lines of the message doesn’t contain any introduction or even a greeting, if the content is specifically only mentioning the artist, song or album, or if there isn’t any content other than the song and band name, that’s Spam. My friends and colleagues in radio, blogging, and other media treat email and social messaging this way too. Trust me, it’s something that comes up in conversations when we chat with each other. There are plenty of sites and more than plenty of artists who are constantly promoting and pitching their music. Most of these promotions are really in-effective in building the curator connections needed to really be beneficial to you and your music. Once a message gets trashed it’s out of the realm of recognition for the me as a recipient. Too many messages from the same sender that come across as spam, the sender can be blocked. That’s a burned bridge or a connection not made. If your messages get flagged as spam, not only does your intention of getting your music heard by gatekeepers not happen, but your ability to send out messages through email systems can be lost. Do you use an email service like Mailchimp, Constant Contact, or AWeber to send e-newsletters? If so, pay attention to the content of your messaging and the way that your messages and emails are being received. You won’t be able to keep everything you do from being flagged as spam, even by your closest contacts. Some people flag messages as Spam because they’re too lazy to unsubscribe. But if your emails are being flagged for spam before you get to a place where you have a connection or subscription with someone, that very negatively affects the reputation of your email address. It can hurt potential future endeavors for email marketing. That’s a more technical consequence to not doing email the right way. The more direct and obvious consequence is a loss of connection and promotion that you were looking for in the first place. How can you solve this? One key is to not try a broad-stroke approach to how you market yourself and your music. Even if you employ a message that is copied and pasted to different email addresses to send to, take just a little time to add something that is a unique greeting or introduction. Reference how you know of the person/entity you are contacting and indicate some experience or knowledge you have of their work and the impact of their platform. Going this route does take more time than just putting your name, band name, album, single, and website/video link in an email addressed to 200 contacts and hitting send. However, do you know what the max return is for going this road? less than .01% (aka less than .0001) You might get lucky and have 1 person respond. Take a little extra time, do a little research and make notes of the people you are reaching out to. Make sure that their platform and offering fits in line with your sound, your brand, and that you have similar fan bases. It does you absolutely no good to send your single or band video to a website that promotes and reviews progressive rock when you are in a country or folk duo. Just because a blog or web station may be included in a list of “indie publications,” make sure you make a good match with the platform before you contact them. Doing this little bit of research and taking the time to make a genuine connection will pay off in spades when you start getting responses. You’ll get actual messages back from people who want to talk with you more. And doing so creates connections that open bigger doors down the road. Even if you don’t get a long note back, you may just receive a mention of when your song will be featured or played, which is fairly uncommon in many media platforms due to timing and lack of information presented. You want to build your network and the connection database for people who are playing, talking about and promoting your music. You do this through not being spammy with your messages. Go down a slightly longer road to build much better connections and relationships through stronger conversational messaging. The benefit is for both you and the platform that showcases your music. And it gives you something you can build on instead of a dead end. Take everything you’ve learned here and go further. Get the full how-to process for contacting music media, music influencers, and building your network in The DIY Musician’s Radio Handbook.